I love this time of year. There is a freshness about it as we get ready to go back to school and work and our lives return to their usual business. (Note for the Northern Hemisphere readers: I live in the Southern Hemisphere, so we’ve just had our summer holidays). I’m a middle school teacher by day, so I’m back to work today with some planning this week before the students arrive next week. I’m lucky that in my job I get to be both a classroom teacher (something I love) and a dance teacher (something else I love). So professionally this year will hold a lot of dance for me. This year is a production year at school, which means a gentler less intense start to the year than a stage challenge year. I’ll start term one off by auditioning my dance performance group early in the term. I’ll work with them on a performance – probably a contemporary dance (though I haven’t officially decided yet) – for the end of the term (just before Easter). In term 2 these same girls will be busy learning a multitude of dances for production, and I’ll also be choreographing for the whole cast and leads a little as well – moving while singing rather than full out dancing. Term 3 will be a lovely break, we’ll probably try and fit in a workshop or maybe a trip to the ballet while working on a couple of dances for the end of year with the dance performance group. Term 4 will see the dance performance group continue their work for the end of year performances and will also see the whole school take part in a social dance unit that I have developed – good fun! Outside of school, my teaching at The Dance Well Centre will continue, currently just with a Jazz 3 class, a Senior Stretch/Technique class and Senior Contemporary. In term 2 or 3 I’ll look at adding a new beginner teen class, and possibly a junior class. As we don’t teach an exam syllabus, I have a lot more freedom in what I do, but I am starting to build up a syllabus/curriculum of sorts to provide some continuity, so I’ll also be hard at work choreographing that. I’m hoping later in the year to look at the possibility of establishing a teen/young adult contemporary performance group, along the same lines at Crow’s Feet, which is a contemporary dance collective for women age 35+ operating in Wellington. I’m still 9 years off being able to join that, so I’d like something to dance with in the mean time! I’m also enjoying planning what this blog will look like in the year ahead. I want to separate it from The Dance Well Centre, because it’s not the same. Though it is of course related and there will also be digital (and non-digital) links between the two. This year I want to focus more on telling stories of what it means to be a dancer. Not just my story, but lots of stories, from all kinds of dancers. If you are interested you can check out this post for more information. I’ve already got four young dancers lined up and two dancers who started ballet as adults too. There are also playlists, student guides, posts for teachers and of course a little bit of my story planned too. Stay up-to-date. I use a combination of a diary and the calendar on my iPhone to organise my schedule, which can be a bit crazy at times. It doesn’t matter what you use to do it, as long as you know what’s coming up and what’s on the horizon. Use timesaving tools. I’m a big fan of apps that help me save time. Get the to do list sorted! As dance teachers we always have things on the go and a million different things to keep track of – to do lists are essential! I keep my personal to do list organised through Trello and the school I work for uses DropTask, so I use that for my professional to do lists. Organise your music. Whether it’s playlists on an iPod/MP3 or CDs. Keeping track of the music you need for classes is vital. I have over 4000 songs in my itunes library. I use playlists to organise these into music which might useful for classes and then I create specific playlists through Terpster, an app especially designed for dance teachers. Maintain your social media presence. Admittedly this is something I am not great at, but I am learning to make time for it. Scheduling and dedicating time to maintaining a strong and postive online presence is important in a world where the vast majority of spend time online every day. It’s especially important if you work with young people as this is their world in many ways. Using apps like Hootsuite to schedule posts can help if (like me) you are extremely short on time. Set aside time for yourself. In the busy, wonderful and often chaotic world of performing arts and teaching, this can be hard to do, but that makes it even more important! I use a couple of apps to help me remember to stop throughout the day. The first is Intention Reminder, which lets you set intentions that will pop up and remind you at pre-set times. The second is Buddify, a meditation app that has a huge range of focused meditations or visualisations for all sorts of situations. I also set myself non-work times in the evenings to spend with my family and often use the small window of time before bed to read of practice yoga. What things do you do to stay organised and on top? Full confession, I love music! And I spend a lot of time finding new music and making playlists, so I thought hey, why not share them with you. Today’s playlist is a lot of new stuff that I have just recently discovered or that has been recently released. Most of these songs are a little bit different or quirky, and many would be great for performances or just to change up classes. * What we call Contemporary dance is usually referred to as Modern in North America. I’m happy to take requests for different playlists, just leave me a comment. Now it’s your turn, what songs are loving for dance right now? It’s been a while since I’ve written a post, so I though it was time for an update. One of the things I’ve missed most is just writing from a personal point of view – and this is at least part of what I always intended this blog to be – so here we go! To say life has been busy lately would be an understatement, but it’s a wonderful, full kind of busy, the kind that makes you really happy, rather than stressed or worked up. My darling son is growing well, and already loves dancing. At 14 weeks it’s hard to tell exactly what kind of dancing, but if I were to hazard a guess I’d have to say it looks like he’s got the Irish jig pretty well down pat! Of course having a wee one has meant a lot of changes for me as a dancer. At the moment it isn’t really viable for me to take a regular technique class in the evenings, having been at work all day. It’s really difficult to commit to a fixed time and day every week, so instead I’m going to take local drop in classes when I can – ideally once a week. Luckily I live in a city full of awesome classes, and I’m actually pretty excited about the variety this will give me. Classes I’m planning on taking include: advanced open ballet with Raise (led by some of the RNZB dancers! ), senior open ballet at The New Zealand School of Dance, advanced jazz at the Whitireia Theatre, Xtend Barre (ballet meets pilates) and Melt Method (pilates meets myfascial release) classes at The Mat Class, and possibly even some aerial yoga at JoYogAerial. All in all I think it’s going to work out really well being able to have so much diversity. Of course I’m still dancing at school – this term we’re working on our Stage Challenge entry assisted by 5 lovely year 9s who have just left us for college, and I have to say I’m looking forward to working with them again. I’ll also be coaching aerobics too which is always fun. I’ve still got big plans for The Dance Well Centre and classes will hopefully start soon, once we have the numbers. So there’ll definitely be plenty of teaching going on! Combine this with some independent practice and stretching and I think I should have enough dancing to keep me happily occupied without taking me away from my family too much. This post started out as a review of Concourse, the British Ballet Organisation’s annual course for students and teachers, but somehow has turned into more of a general update of where I’m at with my dance (teaching) career. Concourse was impressive and there were some really amazing bits, no doubt about it. But it also gave me pause to reflect on my own journey towards teaching dance and where my passion lies. I love the British Ballet Organisation’s methods and their syllabus, they’re seriously good at it and they are super-lucky to have such an awesome group of dedicated and passionate teachers teaching their syllabus, but at the end of the day, that’s what they’re about – high quality ballet syllabus. Which means it’d totally be the right place for me – if I wanted to teach top-level ballet dancers. Which isn’t to say I don’t love ballet. I do. But as a teacher, teaching the best to be better doesn’t drive and inspire me. Finding the potential does, and ballet syllabus in a studio setting isn’t the way I want to do right for me right now. Well, not doing my BBO Teacher’s Exam this year, for one. Going ahead with the idea of teaching a choreo class and a stretch/wellness class for dancers next year is main focus at the moment. I’m keeping my options open but thinking about some other dance teacher/education qualifications for next year or the year after. But most of all I’m choosing opportunities that I can get excited about now and that are realistic knowing that there are some big life changes coming in the next few months (new baby and possibly more responsibility at work). I took 3 classes a day over three days, a stretch class, a teacher’s exam syllabus class and a teacher’s development class. I’m not really going to go into the teacher’s exam syllabus class – suffice to say it helped me come to the realisation above, but I still got a lot out of it. The stretch class was interesting. It was a huge class – easily 80+ intermediate-senior dancers with only one teacher! To give the teacher credit, she did well given the numbers, and I learned a couple of new stretches, but mostly it was things that were familiar to me. That said though as an adult student/teacher I wasn’t really the target audience and she did have some great advice for the younger students in there. I took the class mainly as a bit of market research, and one thing that definitely stood out was the teacher’s attitude – she was all about conformity rather than working at your own pace/level. She was however very good at spotting and correcting those (often younger) students who like to show off their flexibility but are doing it with bad technique, so that was really good to see. I also enjoyed that her movements were based on pilates, which is a type of movement I’m pretty familiar with. All in all? Interesting to watch/take part in – probably wouldn’t do it again. The highlight of the course though, was definitely the teacher’s development class, the first two days were taken by a physio and the final day was a mime and gesture workshop with the legendary Sir Jon Trimmer. The first couple of days were great – I learnt a lot about how the body processes pain as well as some strapping techniques for students’ aches and pains that come with growing and dancing. The final day was the highlight though. Aside from being an amazing dancer and actor, Sir Jon is also wickedly good fun and had all of us teachers up moving and acting. I came away with so many great ideas for breaking down those barriers in adding drama to dance. So the final word on Concourse? If you’re into ballet it’s totally awesome and definitely worthwhile. I’d recommend it to any ballet student who is seriously studying for exams. Even if you’re not doing exams there are some great open classes too. For me though? I would have liked a bit more on teaching dance technique and structuring classes, there was an assumption that all teachers already knowing this stuff, so I found that a bit frustrating. Would I go again? Possibly, depending on what teacher’s classes were on offer. I’m pleased to (finally) be able to give you a sneak peak of the photo shoot I had with gorgeous dancer L. about a month ago. While I’m saving most of the images for their accompanying blog posts here are a few of my favourites. For those wondering, L. is an intermediate level dancer just beginning on pointe. She turns 13 this year. The teacher/older dancer in the photos is me. Rotating through the whole leg and ensuring the knee is tracking over the second toe is important when working in turn out. There’s a sort of grotesque beauty to a dancer’s feet. Helping students to rotate the foot to avoid sickling develops a sense of correct alignment. Stretching through the feet is as important in contemporary as in ballet. Creating a sense of length and longing through epaulement and eyeline. Supporting dancers to feel correct alignment helps to develop their proprioception of a movement. The teacher/mentor relationship is such an important one for dancers of all ages. All photos are taken by Marilyn Jessen and Copyright to dancewell.wordpress.org. Please do not use without DanceWell’s permission. It’s been a while since I posted anything. Sorry about that! But I do have a very good reason, several in fact! 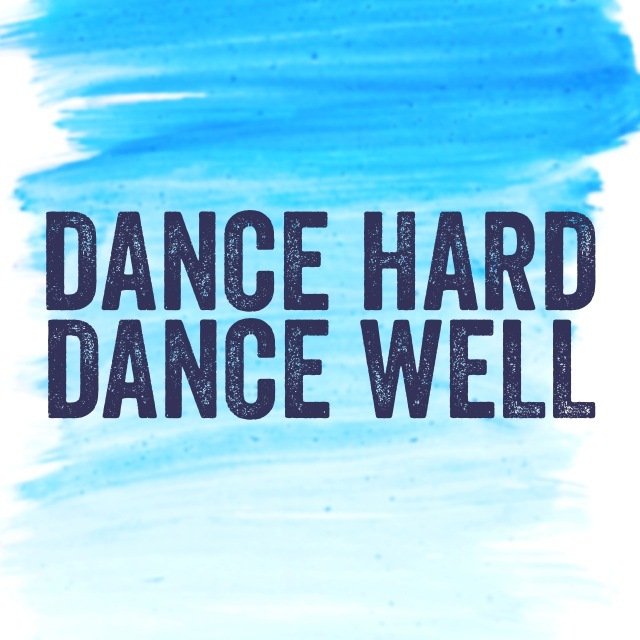 I’ve been busy dancing, learning about dance, trying new movement techniques and getting lots of awesome new content sorted for DanceWell. On top of that we also had a fabulous photoshoot with a gorgeous young dancer L. Sneak peeks coming soon! Pretty much my life these holidays! British Ballet Organisation Concourse: This definitely deserves it’s own post, but in short I spent 3 days taking and observing classes at the BBO course at the New Zealand School of Dance. This included a stretch class, a teachers’ class for ballet focusing on posture and alignment, learning about how neurodynamics can help you be a happy and healthy dancer with less aches and pains (more coming soon on this), watching senior dancers demonstrate the new Coppelia Theatre in Dance Award and finally an awesome mime and gesture workshop with legendary dancer Sir John Trimmer. Swan Lake: Although I was away for most of the Royal New Zealand Ballet‘s 60th Anniversary celebrations, I did make it back in time to see Gillian Murphy in Swan Lake. Those 32 fouettés are even more amazing live! First Aid: While this isn’t really dance – dance is the reason it’s so important to me to have a current first aid certificate, which I now do thanks to my school! So all in all it’s been a busy holidays. I did manage some down time too and catch up with friends and family. I’m looking forward to getting back to school, back into my own dance classes and getting really stuck in to our school production which is on in 4 weeks! Now it’s your turn! 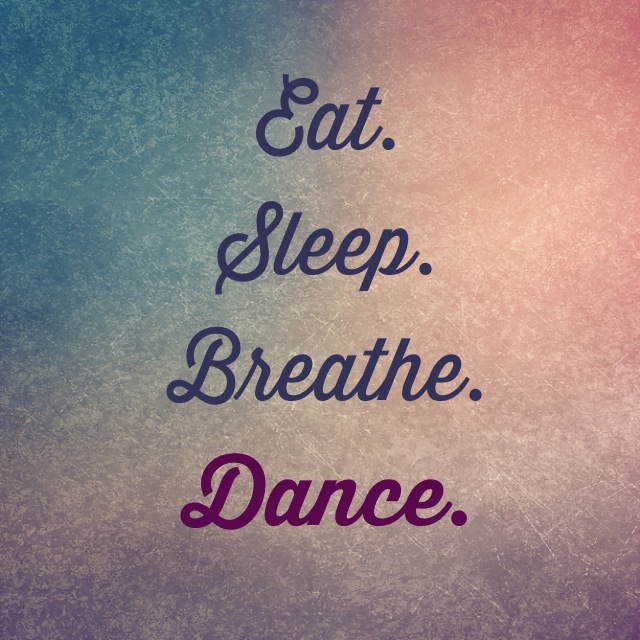 Did you manage to fit any dancing into your school holidays?